Shannon Eckler is a crochet designer and fiber artist from Upstate New York. After completing her Bachelor’s in Psychology and working in her field, Shannon found an outlet in crochet. What started as a hobby has now become a passion for Shannon. Shannon’s inspiration comes from texture, beautiful fiber, and earth toned colors. 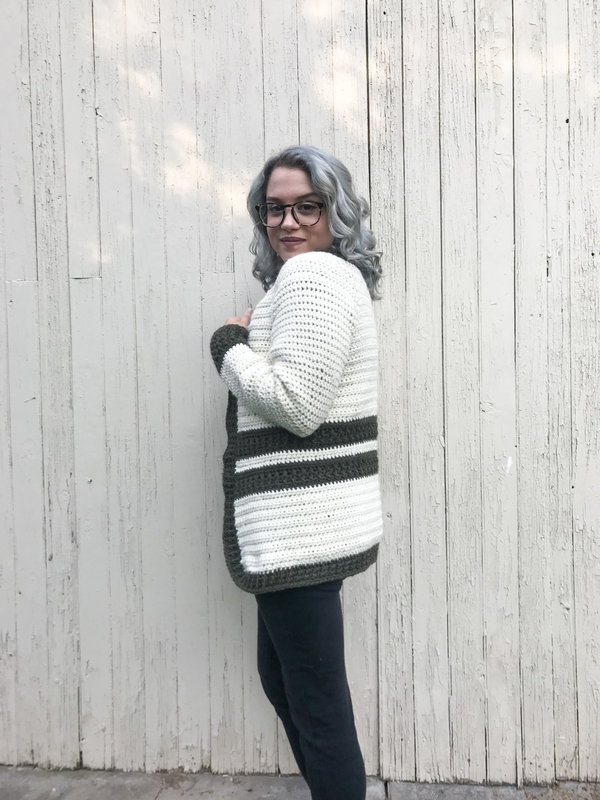 Shannon loves to design cool crochet garments that are simple to make, inspired by her own personal style, and are oh so cozy & cute! Shannon likes to incorporate her work with her love of crochet, and has recently been working on some adaptive design projects as well as a Yarn Bomb to help raise awareness for World Cerebral Palsy Day! When Shannon is not designing she likes to spend her time advocating for those with disabilities, listening to music/podcasts, and spending time with her cat, Monty. You can find her patterns as well as finished creations on her shop! Hello Hook Nookers! My name is Shannon, I am the owner, creator, designer, and person behind Shannon Creates! I am beyond excited to not only be sharing more about myself, but this incredible design with you! When I began my crochet journey only two years ago, I would’ve never thought I’d be where I am today. It is kind of mesmerizing to me just how swiftly life can change by learning something so simple. 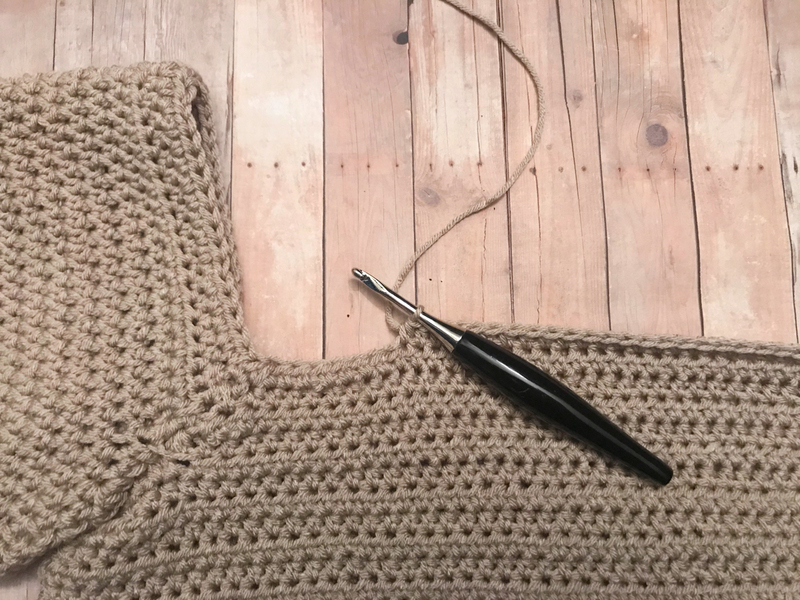 I first learned to crochet around age 12 or so… I found some yarn in our basement, and being somewhat of a loner I found comfort in learning crochet. I was only ever able to make the foundation chain, then without chaining one I would go back and forth until I ended up with some sort of triangle. Let’s just say it didn’t last very long. Fast forward to graduating college, bouncing from stressful jobs with long hours, and then landing an amazing job as a personal assistant for a young man…. I find myself scrolling through the “Explore” page on instagram, and who do I see? The one and only Jessica with her black hair and Hudson Bay Puff Stitch beanie! It was about to be winter and because I had so much free time at my job I was able to pick up a hobby like crochet. 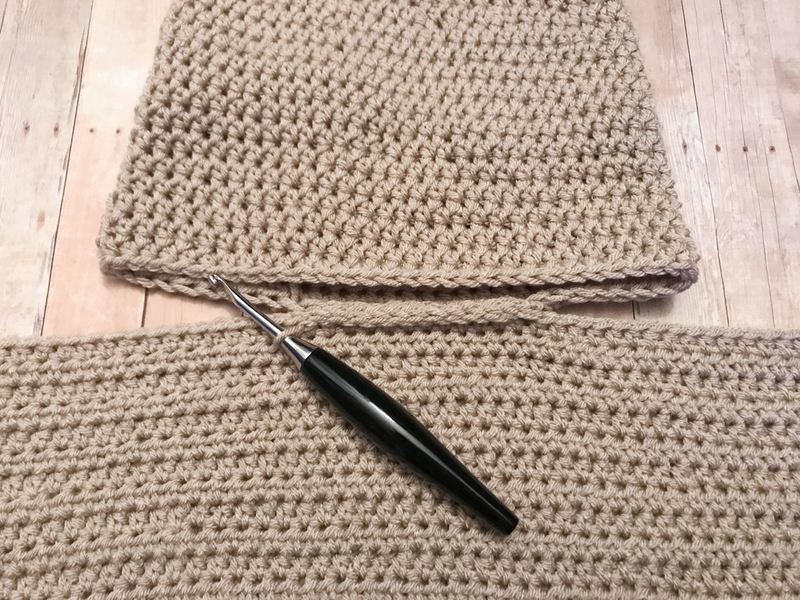 About a week and several YouTube videos later, I had created my own Hudson Bay Puff Stitch beanie! My hobby for crochet quickly escalated on my 23rd birthday when my life went into somewhat of a spiral. Crochet became more like an outlet, therapy, and identifier. (You can read more about my full story on Yarn Punk. Ever since then it has been nothing but crochet. I had the pleasure of meeting Jessica and Vincent at OML 2018, which was crazy because these were people I had gathered inspiration from, envied their talent, and looked up to. I mean in a way these people helped change my life. So being able to spend time on Sunday after the event walking around Chicago, going to the Art Institute, and getting all the nitty gritty on their journeys was an amazing experience. OML helped open my eyes to all the variety of creativity and diversity in our craft (something I haven’t experienced before). I have felt more inspired to create, and have been exploring different forms of crochet from design to pattern writing to now more public art/yarn bombing! The more I create, the more I realize I like to create my way. Like many, I wasn’t formally taught how to crochet. So being self-taught, if you don’t necessarily know how to do something… you sometimes just wing it! Trial and error, epic fails, and wanting to burn tangled yarn is all part of the process. Now having two years under my belt, I have gathered a lot more knowledge of the “rules of crochet”, however I still like to follow my rules.I consider myself a Lazy Crocheter and Yarn Snob. I like the fibers I like, and I like to make the way I like to make. That means not usually counting, no sewing, and having a simple pattern come out looking beautiful! 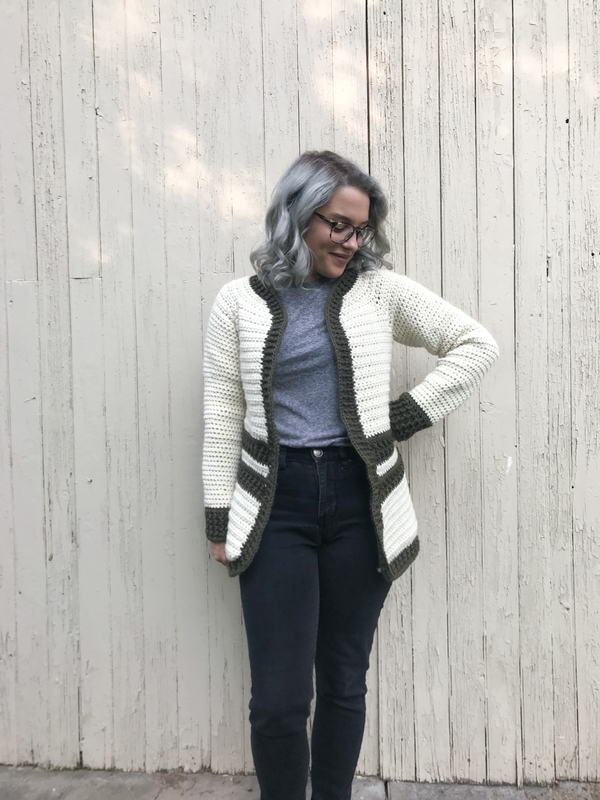 Introducing the Seamless Snob Cardigan! She is just that~ simple, but sassy! 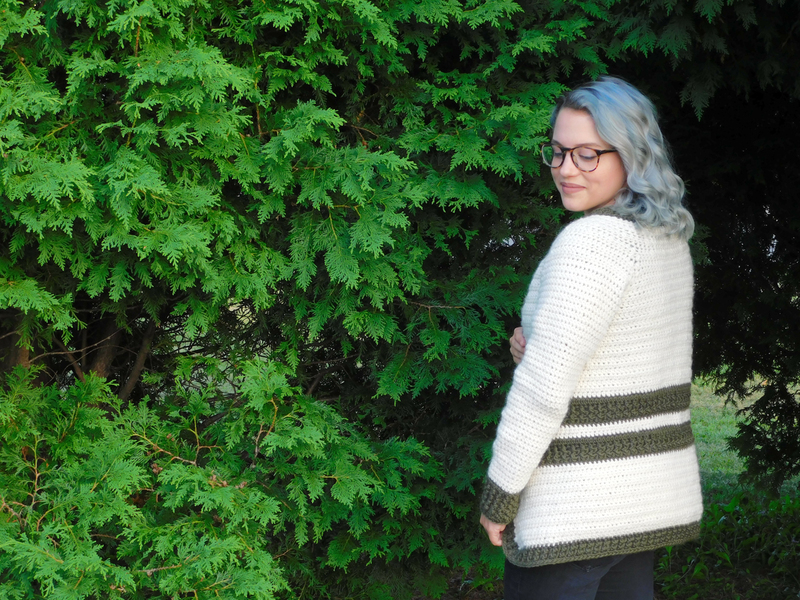 This cardigan is designed with no seams, no sewing, and no extreme stitch counts! You will be using my favorite stitch throughout the entirety of the pattern, so put on your favorite show on Netflix, grab your hook, and let’s see those Snobs! Feel free to share your progress photos, follow and tag me @shannoncreates_ on Instagram! I can’t wait to see your sweaters!! Approximately 1000 yards in Main Color (MC), 350 yards in Contrasting Color (CC) , of worsted weight/medium (4) yarn. I used The Petite Wool from We Are Knitters. Please create a 4x4” square swatch using HDC with your 5mm and adjust accordingly. It should be 12 stitches by 10 rows. 1. Chain 104(116, 128, 140) with MC. HDC in 3rd chain from the hook, continue to HDC across. 2. Chain 1. HDC across. 3.-16. Repeat step #2 for 14 rows. 17. Switch to CC~ Chain 1. HDC across. 18. Chain 1. FPDC for next stitch, then BPDC for the next stitch. Repeat pattern until you reach the end of the row. 21. Switch to MC~ Chain 1. HDC across. 22. Chain 1. HDC across. 23. Switch to CC~ Chain 1. HDC across. 25. Switch to MC~ Chain 1. HDC across. 26.-43. Chain 1. HDC across. Repeat for a total of 18 rows. 44.-45. [For Sizes M, L, XL] Chain 1. HDC across. 46.-47. [For Sizes L, XL] Chain 1. HDC across. 1. Start with CC~ Chain 28(30, 34, 38), SS to first chain to make a continuous round. 2. HDC in each stitch around, and place marker when back at the beginning. Please make sure counts are even 28(30, 34, 38). 3. FPDC for next stitch, then BPDC for the next stitch. Repeat this pattern until back at marker. 4.-6. Repeat step #3 for 3 more rounds. 7. HDC around until back at your marker. 8. Switch to MC~ HDC around. 9.-12. Continue to HDC around for 4 rounds. 13. HDC in the next 6 stitches, then 2HDC in next stitch. Repeat pattern until you reach your marker. 14.-25. HDC around for a total of 12 rounds. 26. HDC in the next 7 stitches then 2HDC in next stitch. Repeat pattern until you reach your marker. 27.-35. HDC around for a total of 9 rounds. 36. HDC in the next 3 stitches then 2HDC in next stitch. Repeat until you hit marker. 37.-45. [For Sizes S, M only] HDC around for a total of 9 rounds. 37.-47. [For Sizes L, XL only] HDC around for a total of 11 rounds. 46. [For Sizes S, M only] HDC around until you reach 4 stitches before your marker. Tie off, but do not finish off (you will return to this point). 48. [For Sizes L, XL only] HDC around until you reach 4 stitches before your maker. Tie off, but do not finish off (you will return to this point). 1. With the body of the garment facing you; starting on the right side, count 20(23, 26, 29) stitches and SS using the tail of one of your sleeves to attach. 2.-6. SS to attach for a total of 12 stitches. 7. 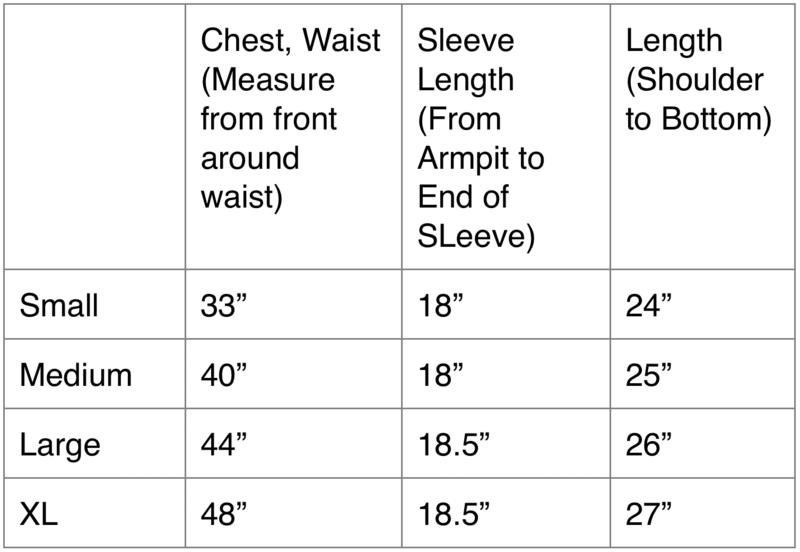 Take your other sleeve with the body of the garment facing you; starting on the left side, count 32(35, 38, 41) stitches and SS using the tail of your sleeve to attach. 8. SS to attach for a total of 12 stitches. 2.-6. Repeat step #1 for a total of 5 rows. 7. Chain 1. HDC in the next 3 stitches, HDC2Tog in the next stitch. Repeat until end of row. 8. (Do NOT chain 1) HDC across. 9. Repeat step #7, but Do NOT chain 1. 10.-12. (Do NOT chain 1) HDC across for a total of 3 rows. 1. With the back of the garment facing you, starting at bottom right attach your CC~ HDC around entire edge (making sure stitches are evenly placed). Place stitch marker. 2, FPHDC for next stitch, then BPHDC for the next. Repeat pattern all the way around until you return to marker. 4. SC around. Finish off. Starting at end of sleeves with CC~ SC around. Finish off. Repeat on second sleeve. & voila! These past two years have proved to be the most challenging, but crochet has been my guiding light. I always feel a bit odd when I talk about my business because to me, it way more than. It isn’t about the paycheck that comes in, but rather it is a passion, an outlet, and a way for me to connect with others. Crochet allows me to become an artist, feel unique, and loved. I am no longer questioning who I am, but rather where I want to go. I can’t wait to share more with the world and explore more of my craft! I hope that you enjoyed this pattern and don’t forget to always stay cozy!